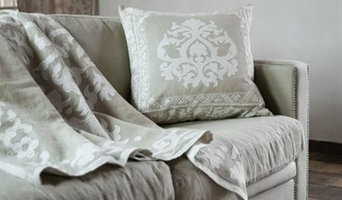 We specialise in luxury soft furnishings using natural linens, soft velvets and silks as base fabrics. Our designs are inspired by classic European textiles and reworked into original contemporary collections in our own neutral and timeless colours. Atelier Textiles merged with award-winning English Home in September 2015 and is now the exclusive supplier of their unique sheer curtain panels and dramatic home furnishing designs. Founded in 2013, Atelier Textiles designs and makes beautiful appliquéd and embroidered soft furnishings for the Interior Design Trade. Our collections include standard and custom size curtain panels and sheer panels, decorative cushions, bedding and throws. All designs formerly produced for the brand English Home are now available to order through Atelier Textiles. All our distinctive pieces are produced on linen, cotton, silk, velvet and net in a choice of over 30 beautiful base (or ground) fabrics. We founded House Babylon because we strongly believe that luxury should not be elusive or exclusive. Our mission is to simplify a confusing retail experience by offering a selective range of exceptionally crafted products, sourced ethically without the high mark-ups. Driven by our philosophy we have sourced premium Egyptian Cotton to create the softest most durable bedding sent directly to your doorstep, all at attainable prices. BLUE RIBBON is an online premier homewares retailer for style-savvy customers looking to decorate their home with beautiful pieces from the world’s most renowned luxury brands. BLUE RIBBON brings you an exclusive edited selection of timeless classics and unique, hard-to-find gifts from contemporary designers and legendary heritage brands. From fine linens and silverware, to kitchenware of the highest quality, the exclusive collection showcases carefully selected must-haves from brands such as Christofle, Ralph Lauren, Bernardaud, Mauviel, Marie Daage, Nason Moretti, Venini, Frette, Missoni, Pratesi, and Venini. 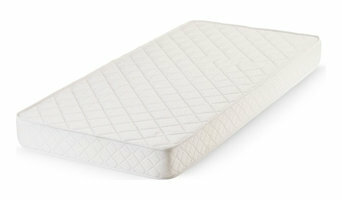 The UK's best selection of mattresses, including pocket sprung and memory foam with free next day delivery and expert advice. Honoring its 30 years tradition of hand embroidered linen with elegant and refined season collections of extreme luxury, VIS-A-VIS now creates hand-guided linen with a lightly graphic and timeless design VIS-A-VIS dedicates a large portion of its activity to special and unique orders, and is capable of fulfilling the most demanding customer requests for homes, hotels, yachts, jets & special weddings. Casper is a sleep startup that launched with an outrageously comfortable mattress sold directly to consumers — eliminating commission driven, inflated prices. The critically acclaimed sleep surface was developed in-house with a team of product engineers having experience from IDEO and NASA, has a sleek design, and is delivered right to your door in a small, “how did they do that?” sized box. We are a team of bedroom and sleep fanatics from Europe, Lithuania. Create for those who love urban simplicity. 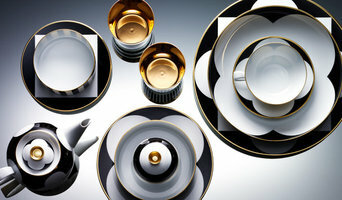 Tradition of Scandinavian design is the one closest to our hearts and eyes. We collect only the best Egyptian cotton (300 thread count) for our bed linens. Use Gotland sheep wool, a very special kind of wool, for our blankets. Offer baby alpaca wool with our throws and cushions. By focusing on less (lower number of products, quality fabrics and online marketplace) we managed to create an awesome luxury product and make it available to people at a fraction of retail price. unique and elegantly styled luxury designs for any home and can be customised and personalised to your requirements. As part of our mission and goals our aim is to achieve and develop stylish and new innovative designs at the reach of any household, businesses in the U.K and other part of the globe.We work hard to produce excellent product and designs for customers and Clients and hope others will also benefit from fully from our services. Our bespoke designs, offers a wide range of innovation ideas and products that you can match to suit your tastes. You’ll find all types of range at fantastic products and unique designs. At realmist Creations there is a wide range of high-quality products at amazing prices. Our company specializes in luxurious pure merino wool giant stitch handmade arm knitted products made to order, such as blankets and other houseware items and knitted vearables also we selling pure merino wool giant yarn and other luxurious fibers. This year we started to make felted merino yarn and blankets of this yarn proves to be extremely popular. The yarn is soft durable and washable. We created scooms to be different to other bedding brands. Rather than offering a mind-boggling range of options, we make ONE perfect duvet, ONE perfect pillow and ONE range of perfect bed linen! Professionals from Grange Hill, Essex bathroom showrooms and bathroom suppliers will be able to advise you on the best sort of materials to go for with your bed and bath textiles. If you want softer than soft, go for high thread count cotton, like Egyptian cotton, or instead the gentle jersey cotton, but if you are after crisp and clean lines, white linen is the way to go. Bathroom suppliers in Grange Hill, Essex will be able to offer a range of unique linen colours and patterns that high street stores won’t be able to offer, so you’re sure to find bed linen to fit with the colour scheme and style of your room. You don’t have to stick to updating just your towels in the bathroom. With Houzz you can find bathroom accessory retailers, bathroom suppliers or boutique bathroom showrooms in Grange Hill, Essex that will stock all sorts of accessories, storage items and other soft furnishings for the bathroom. You may be able to find a professional that can help you design or install stylish bathroom storage solutions to make the most of a smaller bathroom. Here are some related professionals and vendors to complement the work of bedding, towels & bathroom accessories: Home Stagers, Kitchen & Bathroom Designers, Interior Designers, Furniture & Home Accessories. Find Bedding, Towel and Bathroom Accessories Professionals on Houzz. You can narrow down your search for Grange Hill, Essex textile designers, bathroom showrooms and bathroom suppliers by choosing bedroom or bathroom accessories supplier in the Find a Pro section and searching for your area. Find the most reviewed bed linen and towel manufacturers and check out photos for ideas.